Articles What Happens At The -18 "Sweet Spot"? Common advice is to “gain stage” your tracks by calibrating them to -18. People often leave out whether they mean -18 dBFS or -18 dBVU, both of which would yield vastly different levels depending on the source material. But why choose a calibration point to begin with? Here’s Matthew Weiss from The Pro Audio Files describing the differences between VU and Full Scale measurements. -18dBFS is an arbitrary calibration point commonly used by developers to represent 0 on a VU meter. But some use -14, some use -20, because it’s completely up to them what full scale value they wish to use to equal 0 dbvu. Do you know which developers use which reading? Should you care? That depends on what you want to happen when using non-linear plugins, like analog models. So that begs the question…Do you know what happens at said calibration point? At the plugin’s chosen 0 dBVU point, you get the most linear response for the s/n ratio. Meaning the plugin is acting “transparent”. This was the goal of the hardware, which couldn’t be as perfect as digital due to the limits of the technology. As time went on, we figured out how to be more and more transparent with our analog circuits. This is why pieces from the 50’s and 60’s have lots of character, while pieces from the 80’s and 90’s tended to have much less character unless you pushed them. So the 0 dBVU point on the analog model you’ve chosen is the most transparent point. But if I want transparent, why would I use analog models that add non-linear behavior to my source? If transparency and linearity are the goal, which is what we find at the 0 dBVU points, then we can achieve PERFECT linearity by bypassing the analog modeled plugin and using tools that impart no character whatsoever! We use analog models because we like the character they impart. If you use them, but stick only to their most linear calibration point, you’re leaving tone on the table. Decapitator is a distortion unit that models analog circuits being overdriven. We can get similar effects by pushing level into our analog modeled plugins, and since it’s a plugin we aren’t going to break it! It’s lines of code, not a physical circuit! Meanwhile, even with cleaner sounds, driving input levels into analog modeled plugins can add richness and excitement while still sounding clean! 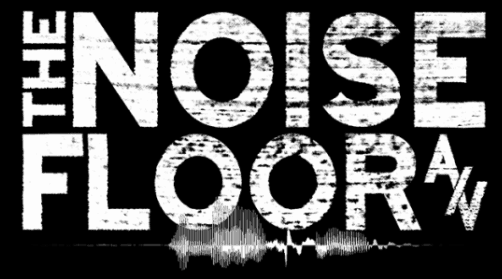 Just watch this video from the Signal To Noise Ratio post a while back, and close your eyes. Listen to the sound of the guitar hitting 4 SSL EQ’s at various levels. Where does it sound the best to you? At what input level is it sounding rich and full? At what input level is it sounding thinner and weaker? Sure, going above a certain point leads to distortion, but in this instance it’s a very bluesy overdrive and sounds awesome! Unless you’re using a hybrid system, there’s zero reason to calibrate your tracks once they’ve been recorded. I say STOP calibrating to -18 for the “sweet spot” of a plugin! There is no sweet spot, and you’re leaving tone on the table! If you want that transparent behavior, you shouldn’t use non-linear processors!